Courtenay real estate activity dates back to about 1915 when the community became a city. 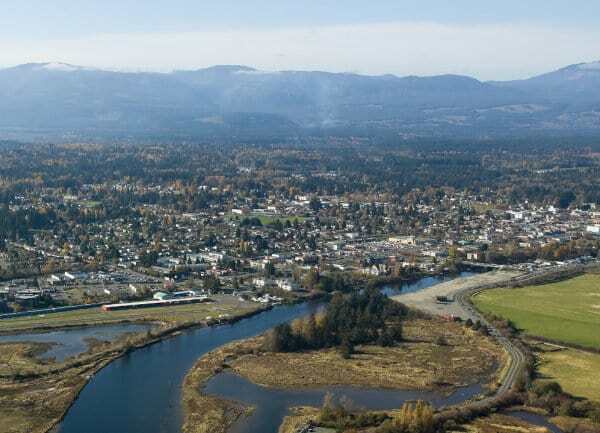 This market occupies the geographic centre of the Comox Valley and it is the main economic driver of the region’s overall real estate market. Some of the homes in the Old Orchard area of the city date back to the turn of the Century and they rest prominently on land that is revered by local residents for its proximity to the downtown city centre. The city routinely accounts for more than 50% of the region’s home sales. A wide variety of homes types can be found in each of the distinct real estate divisions of Courtenay. Courtenay City is a label applied to the original downtown core area of the city. More than 5000 homes have been sold through the Vancouver Island Real Estate Board Multiple Listing Service since 1990. The Courtenay North, South, and West areas include surrounding suburbs and nearby rural areas. They have accounted for about 3000 homes sold since 1990. Courtenay East is a mainly urban area located to the East of the Puntledge River and it contains the high end golf course bordering community of Crown Isle. About 5700 homes have been sold through the MLS since 1990 in Courtenay East. Many homes in the area offer spectacular, captivating, and calming views of the Comox Glacier. Courtenay is home to many different family oriented neighbourhoods, may of which are located in Courtenay East. Some of the more popular and larger ones include Crown Isle, Valley View Estates and the surrounding area, Mission Hill and Mission Ridge and the surrounding area, Aberdeen Heights and the Woodlands.